New Games, Playmats, RPG Materials, and Miniatures! Posted: Sat Jan 20, 2018 5:53 am Post subject: New Games, Playmats, RPG Materials, and Miniatures! 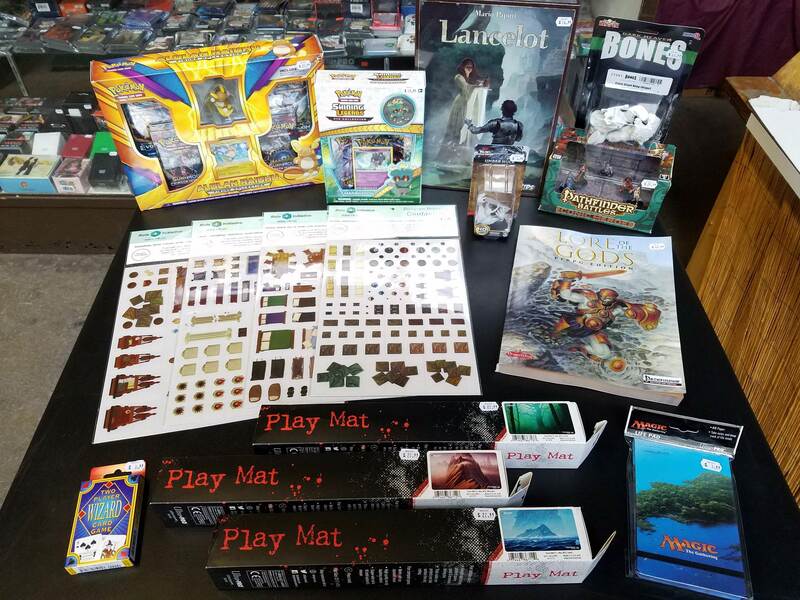 Merlyn's has another batch of fun new items to round out the week, including some awesome "Dungeon Dressing" removable vinyl stickers for roleplaying games, MTG land art playmats, Pokemon TCG box sets, and the new Lancelot board game. Come check out all this new swag and more in store today!